A regular bus service between Mojacar and Almeria airport could be on the cards after the government agreed to study if it could be economically viable. The promise came after Andrés Miguel García Lorca, subdelegate of the government for the province, visited Mojácar to discuss security arrangements for this coming summer. The meeting was to facilitate meetings between emergency services, 112, local police and the guardia civil ahead of the busy summer season. “Mojácar will be a safe town, with a good quality of life this summer” he promised. Andrés has agreed that Mojácar is a tourist town, and as such, it makes sense to make it as easy as possible for people to get to the airport. The trick now, he explained, was to see if it could be economically viable. The line would, he hopes, be ready for the summer if all goes well. He added that of course the bus would also service nearby towns such as Turre or Vera. Other topics touched upon were the extension of the paseo (good idea, pity we have no money is the general consensus) and beach regeneration for the summer. 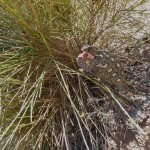 This entry was posted in Blog and tagged almeria airport, bus, bus service, mojacar, mojacar paseo by David. Bookmark the permalink. Please advise if we can take our small dogs on the local buses. We wont to get from Almeria to Mojacar. Next → Next post: Does the Algarrobico hotel break the Costal protection law? Supreme court votes today!